Do You Remember... "The Loner"
Newman, established the somber tone for this superbly scripted (usually by creator Rod Serling) half hour series. Created by Serling, shortly after the demise in ‘64 of his award winning “Twilight Zone”, William Coulton as “The Loner” was a battle weary and introspective ex-Union Cavalry Captain traveling west “to get the cannon smoke out of his eyes.” With a focus on characterization and philosophy the series was as unconventional a western as had ever been seen. Revisiting themes prevalent in his earlier writing (the horrors of war, religion, morals, bigotry, the pressure of command and responsibility), Serling presented the concept to producer William Dozier, who then enlisted Bridges as star. CBS bought the anything but typical series, sans pilot, on the name value of Serling/Dozier/Bridges. As Coulton wandered the west, looking for something to give his life meaning, he encountered (well developed) characters, both honest and dishonest, that helped give him an understanding of himself. Serling saw to it that in each episode Coulton would confront ethical issues as relevant in ‘65 as they were a century earlier. 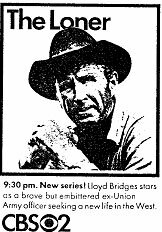 “The Loner” debuted September 18, 1965 (at 9:30 Eastern), in the coveted time-slot just prior to “Gunsmoke”, but all was not well behind the scenes. Michael Dann, senior VP of CBS programming, was not pleased with what he saw. It’s not hard to understand Dann’s dismay, accustomed to the ways of the traditional TV western, here was a show with nary a cardboard character to be found. Dann’s contention was the series lacked action. 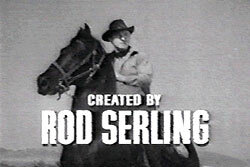 Serling argued emotional tension was as marketable as physical violence. 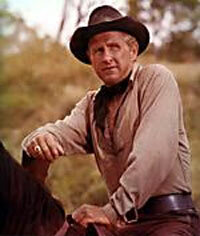 “I’d call it adult action,” Lloyd Bridges reasoned, “because the characterizations are so beautifully drawn. Serling can write believable characters. And I don’t think the character I play is just another guy looking for his idenity. It goes deeper than that.” Critics acclaimed “The Loner” for its “low key, introspective format,” and while ratings remained steady, the series failed to build an audience who apparently agreed with Dann and wanted action packed good guy–bad guy westerns. Too bad. The quality series lasted only 26 episodes until 3/12/66. Produced at 20th Century Fox but filmed at MGM, “The Loner” directors included Allan Miner (“Black Patch”, “Wagon Train”, “Bat Masterson”), Joe Pevney (“Plunderers”, “Night of the Grizzly”, “High Chaparral”), Alex March (“Hec Ramsey”, “Shane”, “Dangerous Days of Kiowa Jones”), Allen Reisner (“Branded”, “Rawhide”, “Gunsmoke”), Norman Foster (“Zorro”, “Davy Crockett”, “Elfego Baca”, “Rachel and the Stranger”), Leon Benson (“Bonanza”, “Wild Wild West” and Bridges’ former “Sea Hunt” series), Tay Garnett (“Gunsmoke”, “Bonanza”, “Rawhide”, “Deputy”, “Laramie”), even actor turned director Paul Henreid.